1. Full frames, where the entire lens is used for the purpose of just accommodating a reading glasses. 2. Half eyes style glasses that sit down on your nose and you look over the top of the lens. AusSpecs is proud to offer its potential customers, especially those avid readers that are keen to read as many books as possible in their daily life, the option of both types of reading glasseses, full frame readers and “half eye” readers. In reality, full rimmed reading glasses depending on your needs. have a drawback in that the whole lens area is dedicated to reading. This makes them not so good where you need to see distance objects and clear vision is required. Still, at the very affordable prices that AusSpecs offers, you can have a spare pair without breaking the bank. In Contrast, “half eyes” reading glasses are also offered by the AusSpecs as this type of lenses will help the individual to look down and through the lenses for the required near sight and upwards to see into the distance. You could say that “ It is the best of both worlds” ! OK I have got all that .... Let's Go Shopping ! What are Prescription Reading Glasses ? Put simply they are Single Vision Spectacles that are manufactured to a script to suit your vision. Can I buy Reading Glasses from the Chemist ? Absolutely . If your script is one of a simple magnification there is no reason why not. What are simple magnification glasses ? On your scriptt here will be ONLY a value in the ADD section and nothing else on the prescription. These are simple magnification glasses. Just be sure to get the correct magnifying lenses. e.g. if the script says +2 then that is what you want +2 magnifying glasses. What if there are other values on the prescription ? Then this is where you need the correct eyeglasses to suit your eyes. What if I can still see ok with just magnification glasses. This is a very common statement and one to be wary of. If your eyes require proper Optical glasses and you are straining the (even without realizing it ) you will be doing damage, maybe only slight to start but it is not worth the worry. AusSpecs sells Reading Glasses at such low cost there is no need to take any chances. Can I have tinted Reading Glasses. ? The glasses you buy from AusSpecs, although of excellent quality, are so inexpensive that many people have a pair of reading glasses specifically made into Sunglasses to sit in the sun reading their favorite book. This is much better for the health of your eyes than the reflected sunlight from a bright white page of a book. The industry average is about 40cm from your eyes to your book. This can vary so ensure that you optometrist measures this distance for you. Can I have Reading Glasses and Distance glasses together in one frame. Yes certainly but these glasses are called multi-focals or Progressives or even No Line Bifocals. How do I choose the right frame for my Reading Glasses? That one is an easy. 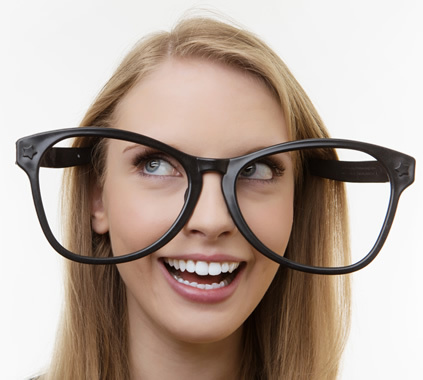 Just measure your current glasses and choose pretty much the same sizes and shape from the hundreds of glasses on offer on the Ausspecs website. What are the lenses made of ? Today the vast majority of lenses are made of a plastic material known as CR39 although quickly becoming very popular are the lenses made for Toughened. Although the Poly lenses can be made photochromic the option of standard tinting is not so easy. In this case the molecular structure of the Toughened is tightly bound together thus making adhesion of a tinted layer very difficult. The UV rating on all AusSpecs Reading Glasses 99% or better so this should be of no concern. OK I understand all of that so take me to the the page where I can order these Reading Glasses Online !